i love your sweater, veronica. this colour is so perfect for you. This was the way I found today to tell you how much you make my day! I made you a rime!!!!! Love you girl, in every colours!!!!!! I love this outfit, especially the sweater and boots. Very nice! Love this casual cool look! I love jeans rolled up with little booties. Super cute. You look gorgeous, dear! I love how clean this outfit is and the sweater is just delicious! Gorgeous color! Wonderful look! I love the sweater and those ankle boots! Beautiful! I love the combination of peach and denim! Cute look! Love the color of you sweater and your bag! This peach sweater is one piece I’d like to steal from your closet – it is perfect in every way…the color, the slouch = love it! That colour of your sweater!! <3 Pure love. Amazing sweater! Love the way you combined it! Great look as always! very very nice outfit! love the color of your sweater! I love your hair! and this cardigan got lovely colour! 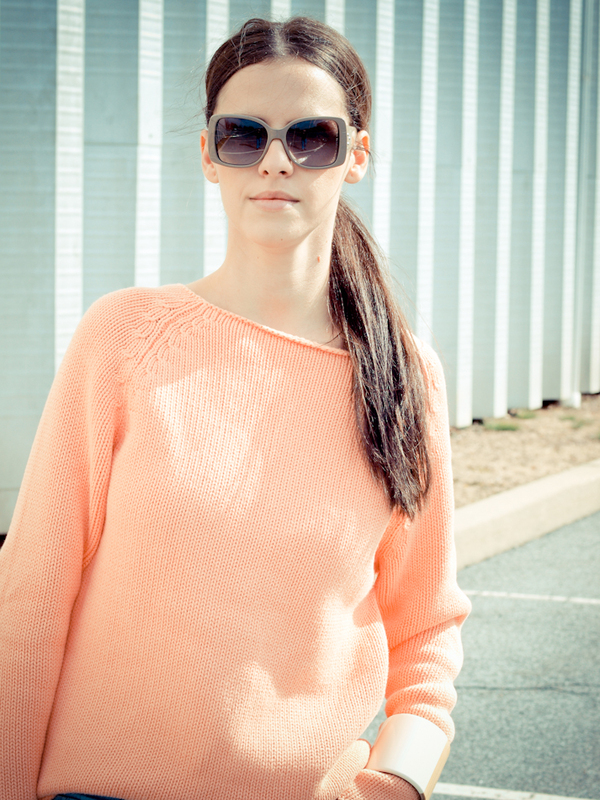 the peachy sweater looks absolutely sweet on you! Great outfit!!! the laid-back feel of the look is very cool…. I can’t wait to see the photos from your trip!!! Ps: I love how you put the bracelet on top of the jumper!!! cool idea!! the peachy colours are so calming. I love how soft they are and the overall effect is stunning. It’s a perfect combination of colors. The peachy sweater is so great. I like your sunglasses too. It’s never easy to look this chic and effortlessly cool but you my lovely V. always are the queen of this. 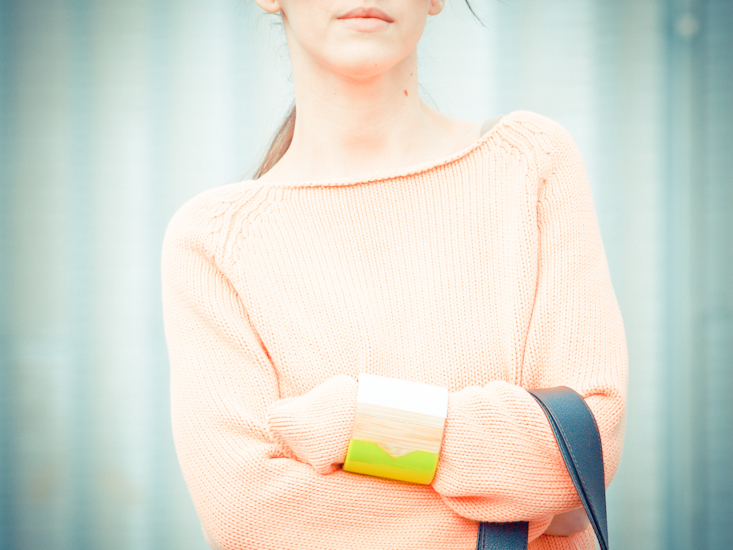 Love the peach colored jumper and the pastel-fluo musings of your gorgeous bracelet! so cute! simple byt yet so chic!! I adore your sweater and boots! Lovely colors love your sweater! Such a refreshing colour combo! As always you look great and accessorized perfectly! I like so much dear this post and this look…. love it!! Pass to me.. i have a new post! Girl, you rock this outfit! 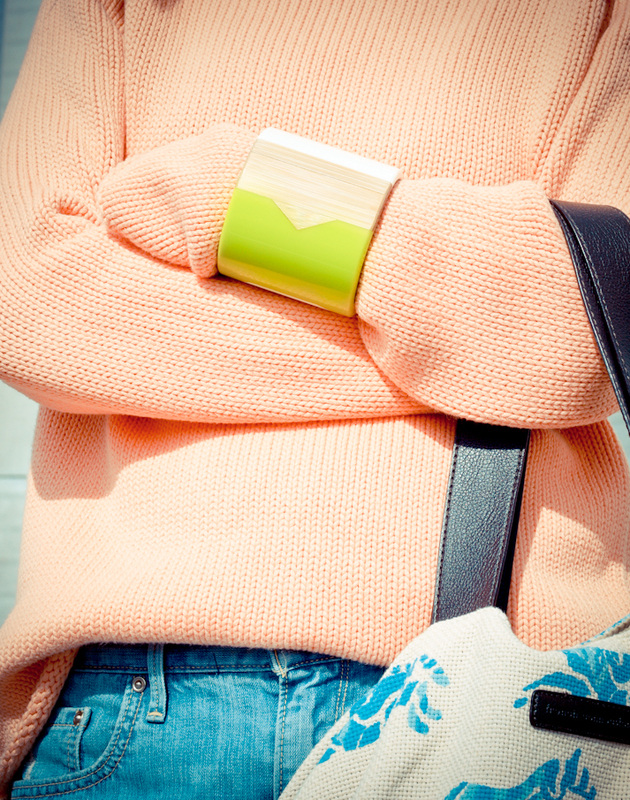 Love Marni bracelet. That fresh peach knit is love. Love the pattern of your bag! Ánd Levi’s are Chanel of denim – always classy & timeless! Nice look! 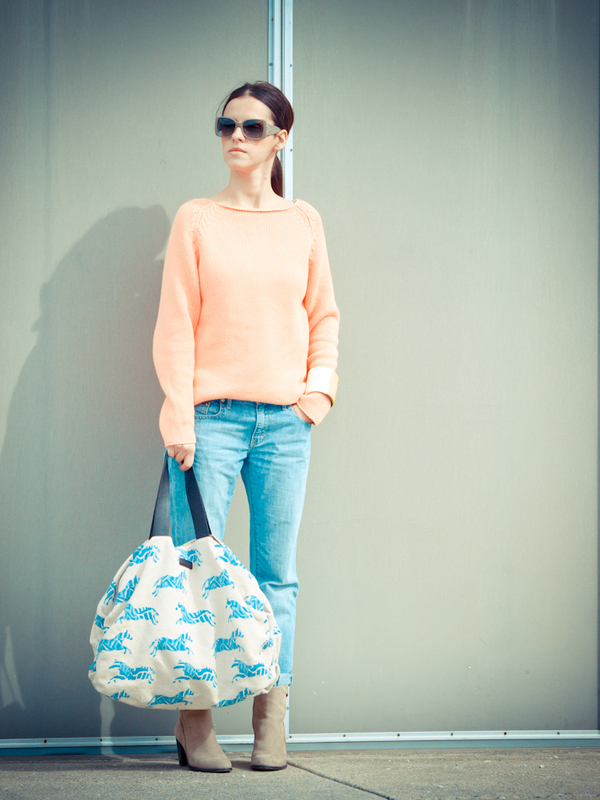 beautiful color knit sweater and lovely bag! !